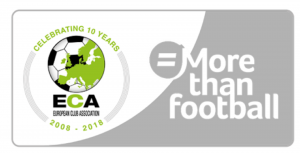 This year’s #Morethanfootball Action Weeks would not be as successful without the support of the European Club Association (ECA), one of the official partners and main supporters of this campaign, alongside the UEFA Foundation for Children and the European Football for Development Network (EFDN). 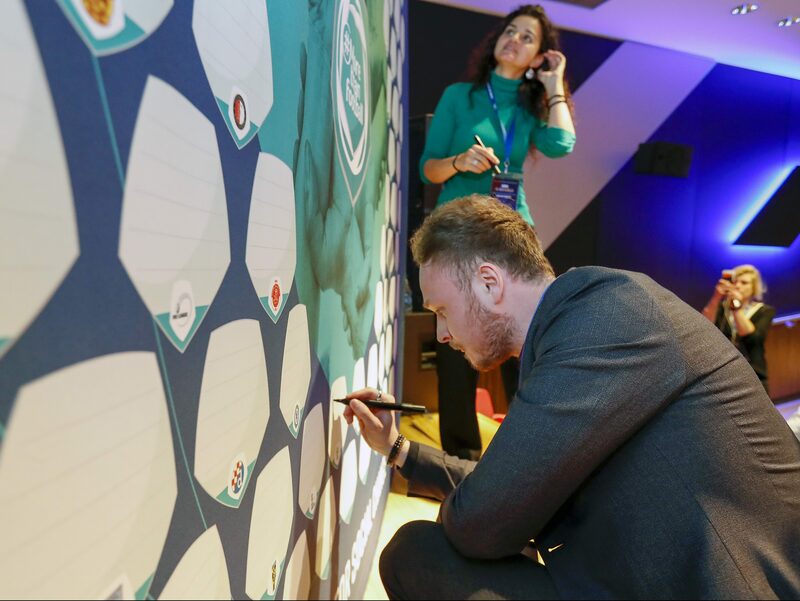 Following the successful participation of many ECA Member Clubs in the 2017 #Morethanfootball Action Week, the ECA was an official partner of this year’s campaign. 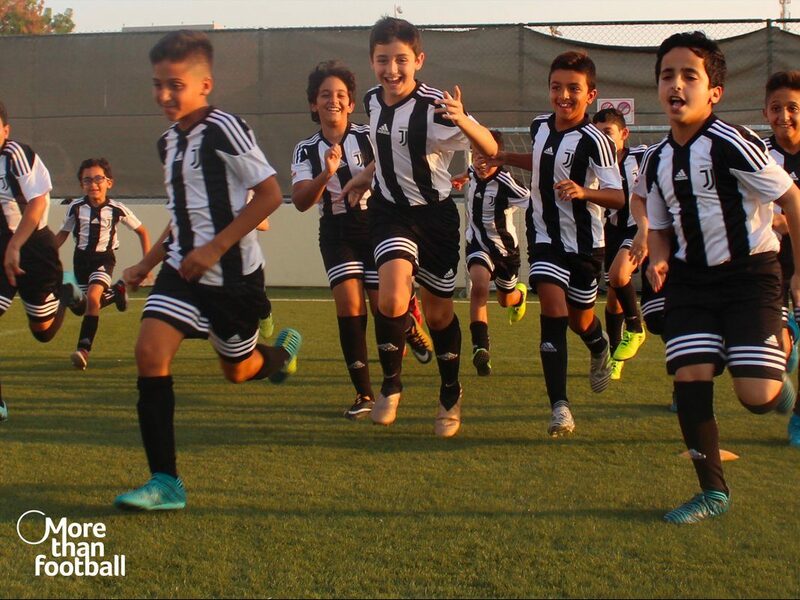 On 21 March, the 2018 #Morethanfootball Action Weeks campaign were successfully launched with the help of the ECA. 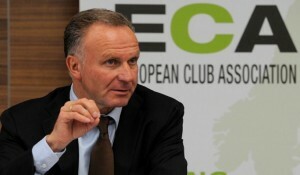 Moreover, the ECA had been actively promoting the Action Weeks and encouraging its Member Clubs to participate, resulted in more than 40 ECA Member Clubs taking part in this 18-day campaign, including 6 clubs participating for the first time: AS Monaco FC, FC Viktoria Plzeň, FC Zürich, GNK Dinamo, PFC Levski Sofia, and Maccabi Tel Aviv FC (with its charitable arm – Maccabi Tel Aviv FC Foundation). We would like to give special thanks to the ECA for their continuous support and effort in making this year’s Action Weeks another successful campaign. 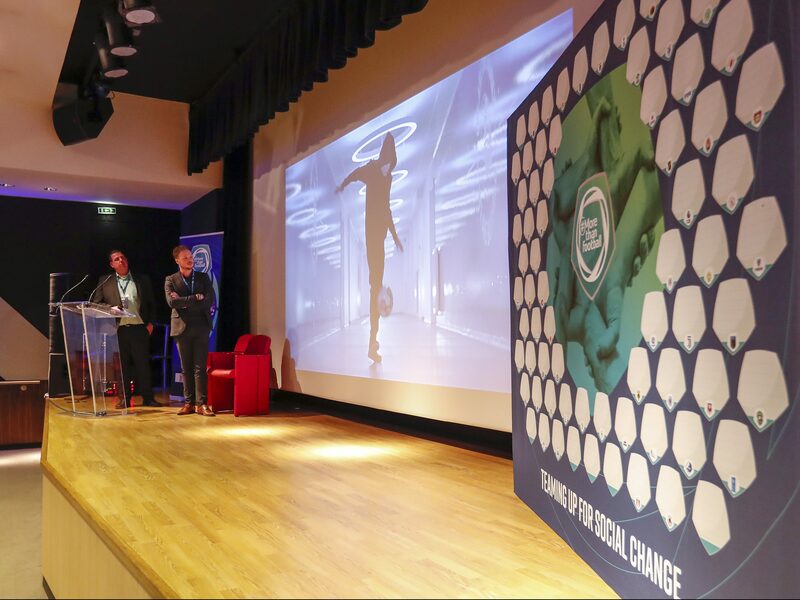 With both the 2017 and 2018’s #Morethanfootball Action Weeks serving as great foundation for future Action Weeks and other CSR aootball related programmes, we are looking forward to more fruitful collaborations with the ECA, as well as with all participants. AS Monaco FC: AS Monaco participated in the #Morethanfootball Action Weeks for the first time with a number of activities highlighting the Flavien Foundation, the first Monaco-based organisation that fights against paediatric cancer and rare diseases, right before the Coupe de la Ligue final against Paris Saint-Germain. Using the club’s social action program ASMonacoeur, the inspiring story about the extraordinary 1,000-km bicycle trip of two employees of the Flavien Foundation – Luc and Phillipe – to watch the final was honoured by the club’s president Dmitry Rybolovlev. Moreover, AS Monaco invited Enzo, a young cancer patient currently in remission and a fan of AS Monaco, and his family to the game to meet the players and watch the warm-up. The club also presented a cheque for €10,000 to the Flavien Foundation. The video below (in French) summarises the event. Juventus: Juventus joined the Action Weeks this year by showcasing the club’s women team and Juventus for Special – the Juventus team dedicated to those with cognitive and relational disabilities. 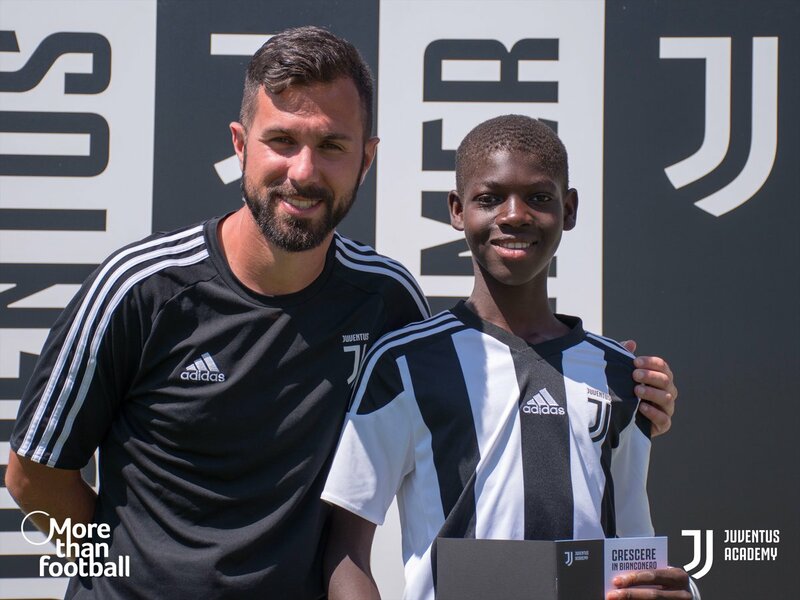 The club also shared on social media pictures of various Juventus programmes around the world, proving that football is truly for everyone without any barriers. The posts gained lots of attention from fans. Lastly, on April 6 – the International Day for Sport Development and Peace, Juventus and UNESCO launched a free-for-all photo contest using #WhatColour and #Morethanfootball that aims to show football’s potential to promote inclusion, overcome stereotypes and overturn discrimination in all its forms. Read more about the contest here. Maccabi Tel Aviv FC Foundation: The Maccabi Tel Aviv FC Foundation officially participates in this year’s #Morethanfootball Action Weeks by organising a special event with Chinuch L’Psagot. 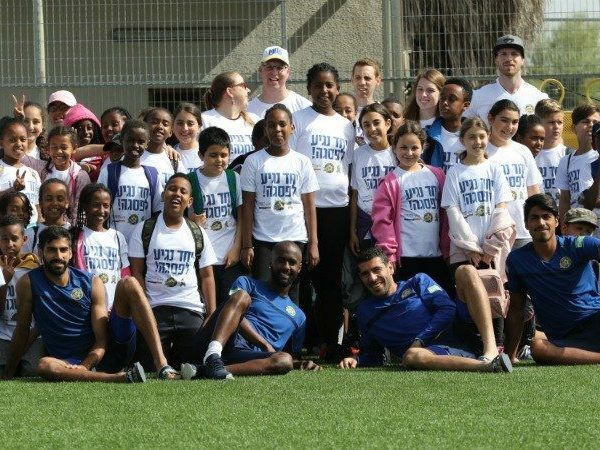 Over 150 children enjoyed a special event at Kiryat Shalom Training Facility as the participants met the players, took part in a football tournament, enjoyed a Pizza Prego lunch and more. Read more about the event here. FC Zürich: FC Zürich showed its support for people with disabilities. Along with the Brunau Foundation, the club has created and been continuously supporting FCZ Brunau, a special team for footballers with a handicap. 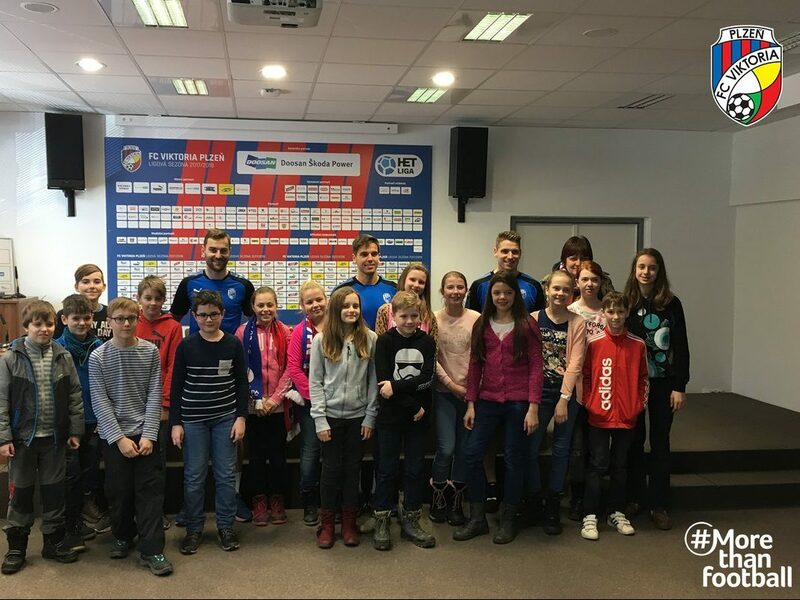 FC Viktoria Plzeň: The club organised a stadium tour and a personal meeting with first-team players for young students whom had won the #PodporViktorku photo contest, one of many activities within the Viktorka School project. The children were left with full of smiles and satisfaction from this special opportunity.